Step 1: Make sure you have a Google or Samsung account added to your phones (new and old). If you have don’t have one it is easy to set up. If you need help with that, please send me a Comment. This tutorial assumes you know how to do this. 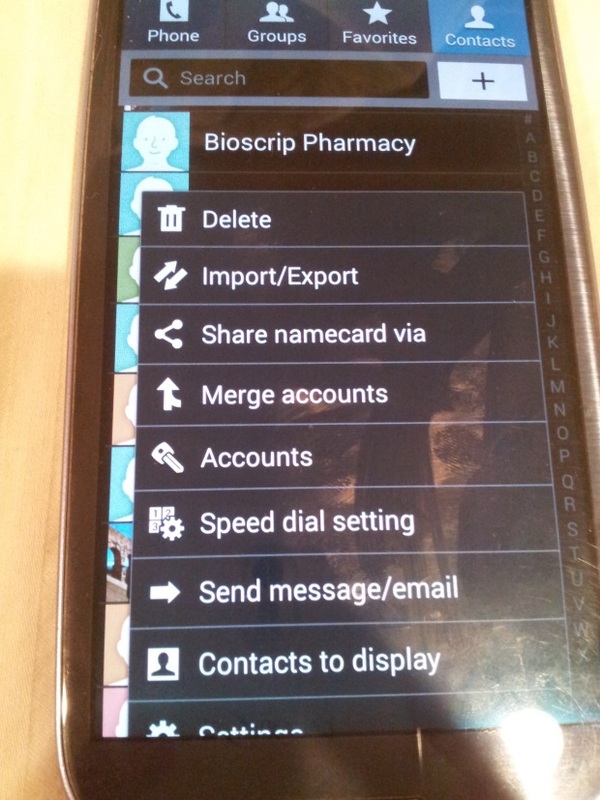 Step 2: Go to your Contacts main page on your OLD phone. Step 3: Press the Menu button. My assumption that across Android devices the idea is the same. 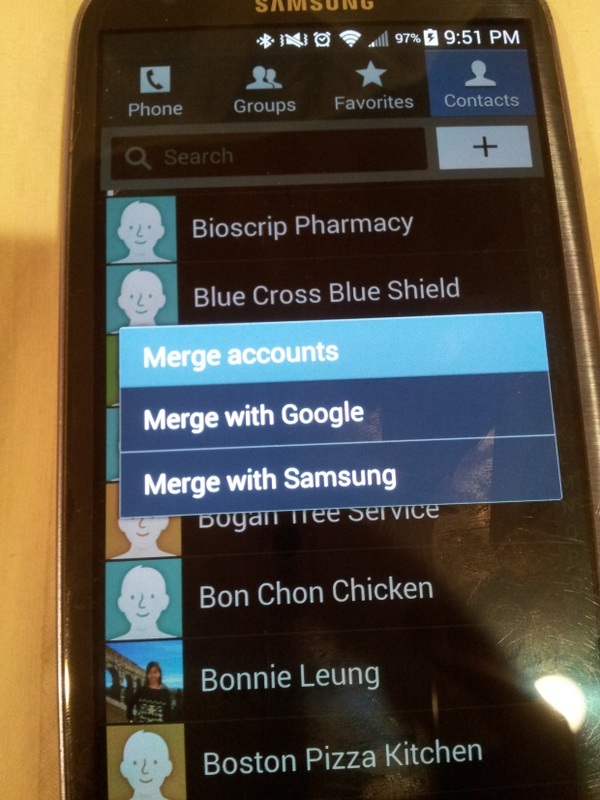 Look for the”Merge with Samsung”; “Merge with Google”; or “Merge Accounts” option and press the desired function. If you have “Merge Accounts”, then choose the desired service to merge with. 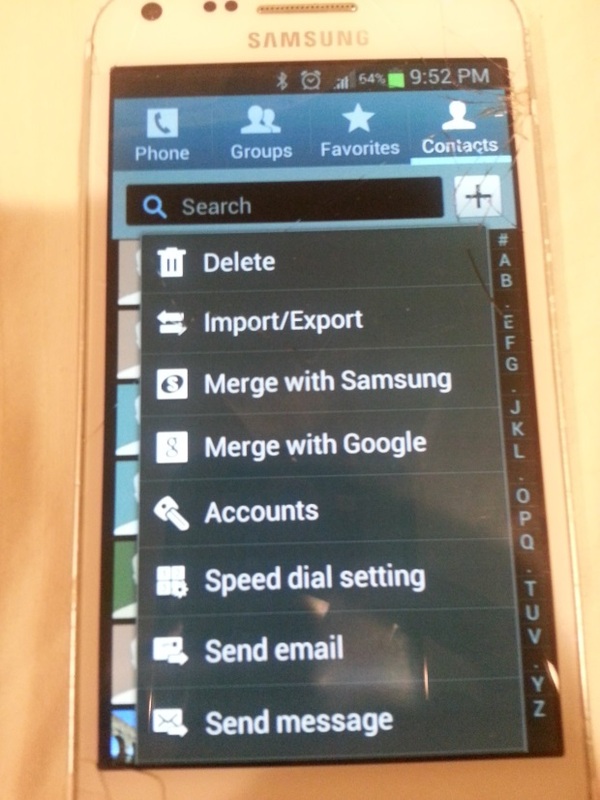 Step 4: Your Phone contacts will now merge with that service. Step 5: Go to your new phone, add the email address and sync. Voila! You should be on your way to downloading your favorite apps to your new phone instead of spending that time typing in your contacts one at a time!